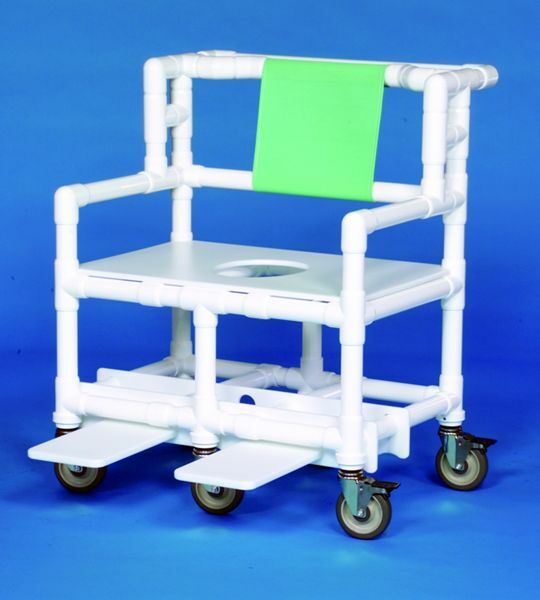 Our bariatric shower commode chairs are used by hundreds of hospitals, nursing homes, assisted living facilities and other healthcare facilities nationwide. Used to accommodate patients from 350 lbs to 900 lbs. — when standard-duty chairs are not suitable. Our heavy duty PVC shower chairs and commodes are lightweight, easy to maneuver and easy to clean. Backrest comes in choice of colors. See our stainless steel commode shower chairs for additional options for bariatric patients.